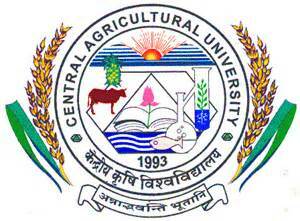 The Central Agricultural University was established by an act of Parliament, the Central Agricultural University Act 1992 (No.40 of 1992). The Act came into effect on 26 January 1993 with the issue of necessary notification by the Department of Agricultural Research and Education (DARE), Government of India. The university became functional with the joining of the first vice-chancellor on 13 September 1993. The jurisdiction of the university extends to six North-Eastern Hill States: Arunachal Pradesh, Manipur, Meghalaya, Mizoram, Sikkim and Tripura. It offers undergraduate teaching (B.V.Sc. & A.H.) and postgraduate teaching (M.V.Sc. ), research and extension activities at College of Veterinary Sciences & Animal Husbandry, Selesih, Aizawl, Mizoram. It offers B.Sc. (Agril) every year and M.Sc. (Agril) in Agronomy, Plant Pathology, Horticulture, Plant Breeding and Genetics, Soil Science and Agricultural Chemistry, and Entomology. It imparts teaching in the field of horticulture, fisheries, Agricultural Engineering, and Food Technology in various constituent colleges spanning north-eastern states.